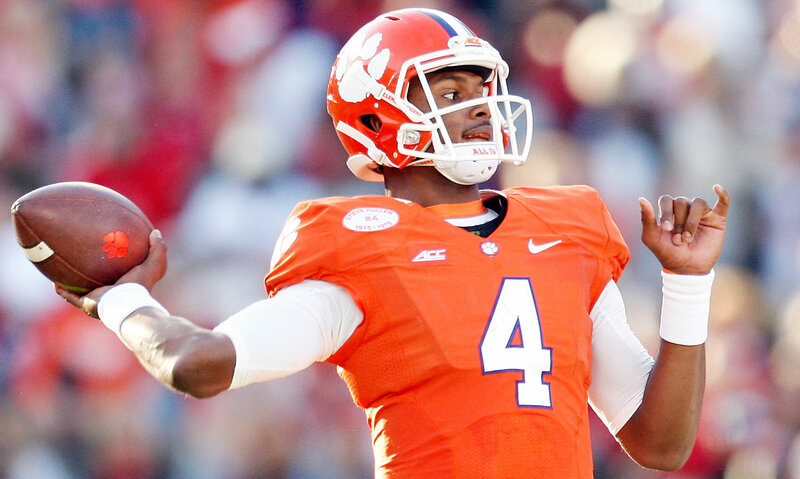 2015 ACC preview: Is any team playoff worthy in a league with better depth? Find out everything you need to know about the ACC in 2015, including projected standings, names to know and more. Florida State entered last season as the consensus top team in the country. A year later, the Seminoles’ forecast is much less clear. They have yet to settle on a starting quarterback, their top tailback is ensnared in legal issues and one of the best receivers in program history left for the NFL. Meanwhile, Florida State’s top contender in the Atlantic Division, Clemson, brings back a Heisman contender at quarterback and a strong receiving corps, while other teams across the league—including NC State, Pittsburgh, Virginia Tech and Georgia Tech—appear to be on the upswing. With no runaway favorite, ACC play could feature surprising results every week. That’s good for viewing purposes, but it could diminish the chance the conference produces a College Football Playoff team. Will one squad emerge with a résumé that satisfies the selection committee? Perhaps no other player in the country will wield more influence on a Power Five conference title race. If Watson stays healthy, the Tigers should be able to beat out Florida State, win the Atlantic Division and knock off the champion of the lesser Coastal Division in the conference championship game. If he goes down with another injury, all bets are off: Clemson’s offense won’t operate at peak capacity, paving the way for the Seminoles to claim another division and league title. After lining up at several positions on defense over the past two seasons, Ramsey is moving to cornerback. Coach Jimbo Fisher said this spring that Ramsey—who was recruited as a corner out of high school—will still be free to blitz and help out in run support, but his primary responsibility will be shutting down receivers in his vicinity. The 6’1”, 201-pound junior is the most talented player returning to a defense that brings back six other starters. *With Cook’s status up in the air, it’s difficult to project Patrick’s statistics. One of Golden’s biggest problems is that other coaches have proven they can win big at Miami. Under Golden, the Hurricanes have felt less like The U from the early aughts and more like a perennial underachiever. In his four seasons, Miami has posted a 16–16 record against ACC competition, with two sub-.500 finishes in conference play (2011 and ‘14). 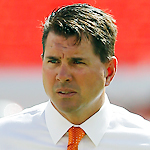 Making matters worse for Golden is that Miami is situated in one of the nation’s most fertile recruiting grounds and has produced ample NFL talent during his tenure. Anything short of a division title this season won’t bode well for Golden’s chances of keeping his job heading into ’16. Golson transferred to Florida State this spring after spending four years at Notre Dame and is competing for the starting quarterback job. He led the Fighting Irish to the national title game as a redshirt freshman and played well to start last season before committing a number of costly turnovers as Notre Dame finished with a 7-5 record. Thomas threw and ran for over 2,800 combined yards combined last season, guiding the Yellow Jackets all the way to the ACC title game and an Orange Bowl victory. With running backs Synjyn Days, Zach Laskey and Charles Perkins gone, Thomas will have to shoulder even more of the offense in 2015. 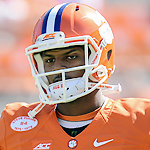 Watson missed five games last season due to injuries, including Clemson's Russell Athletic Bowl victory while he recovered from a torn ACL. Watson is said to be ahead of schedule in his rehab and should build on a true freshman season in which he threw for over 1,400 yards in eight games. Conner established himself as a workhorse back for the Panthers in 2014, carrying the ball 298 times fore 1,765 yards with 26 touchdowns. He's in line for more opportunities to run the ball this upcoming season. 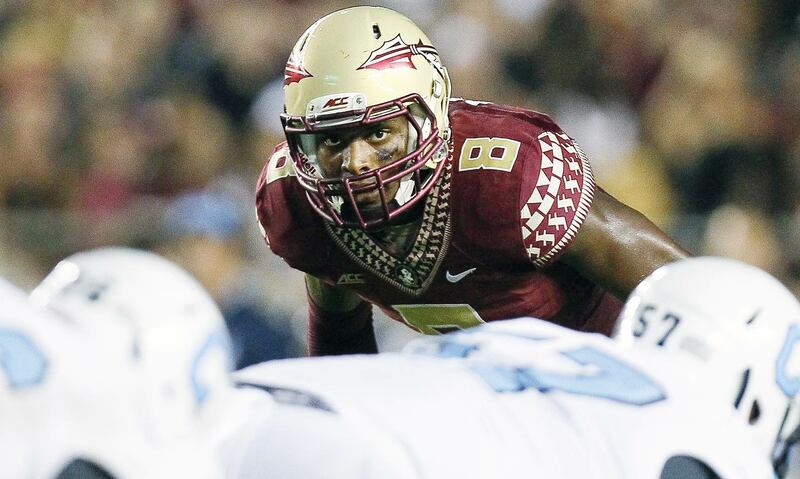 Ramsey enters his third year at Florida State as one of the best cornerbacks in college football. 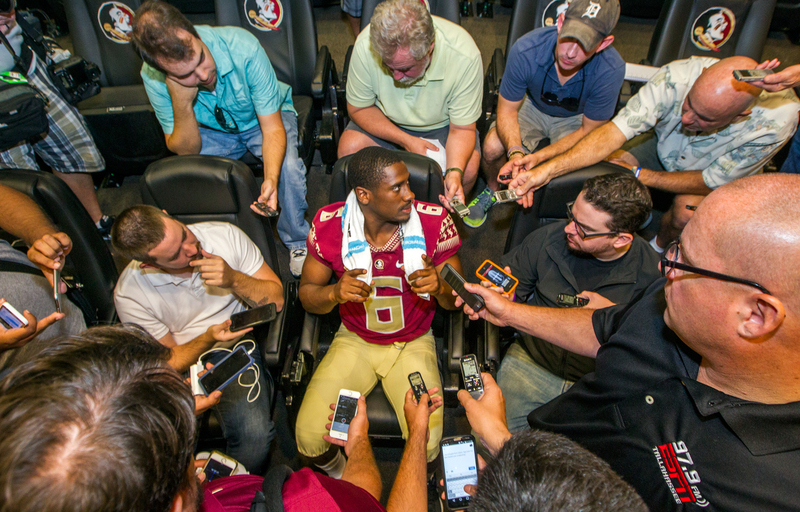 Ramsey started as a true freshman on the Seminoles' 2013 national championship squad and has only improved since. It would be a surprise if quarterbacks test him often. Kaaya was tasked with restoring The U as just a true freshman, and he performed well even as the Hurricanes fell short of expectations. The quarterback threw for 26 touchdowns compared to 12 interceptions, amassing over 3,000 yards. But Kaaya will have to be even better as a sophomore to rally the Hurricanes, who lost four in a row to end 2014. Fuller enters his third season at Virginia Tech as a shutdown corner. 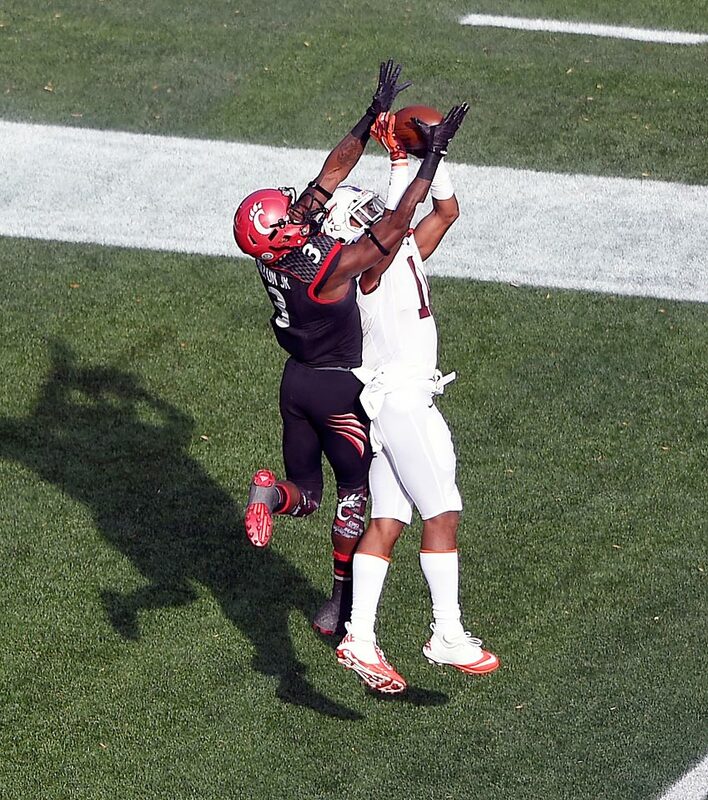 He recorded six interceptions in his true freshman season in 2013, so teams hardly threw at him last year. Although the lack of opportunities may limit his statistical production, Fuller's dominance is undeniable. The former Florida passer was given the keys to the Wolfpack offense last season after sitting out 2013. 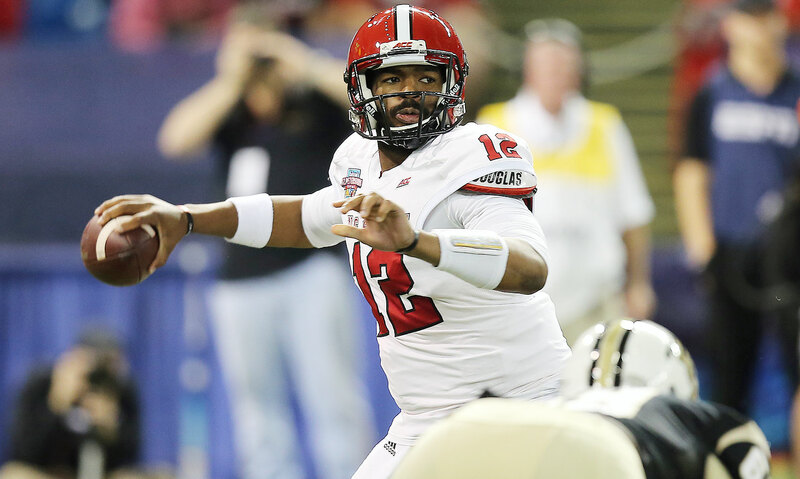 Brissett responded with 23 touchdowns and over 3,000 yards combined running and throwing. His talent as a dual-threat helped N.C. State improve by five wins last season and could make the Wolfpack a tough conference foe in '15. Boyd has been a menace since stepping onto the field as a true freshman in 2013. He's caught at least 78 passes in each of his first two seasons and has 15 receiving touchdowns in his career. 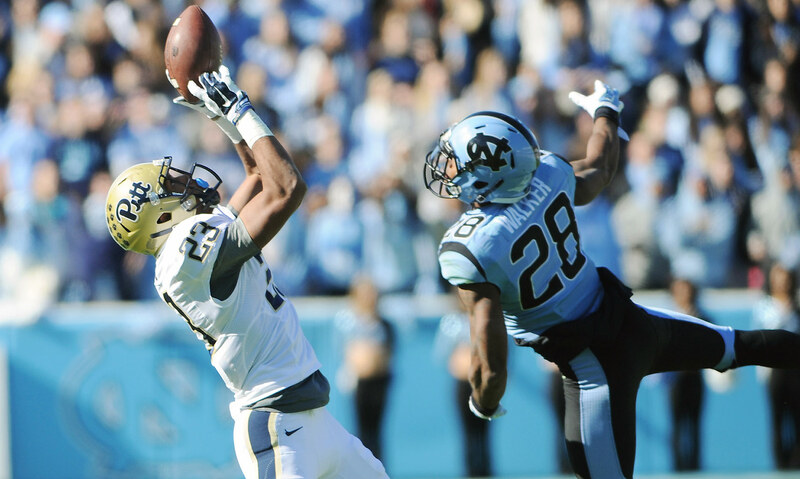 A threat as a kick and punt return too, the Pitt receiver averaged 148.3 all-purpose yards per game last year. 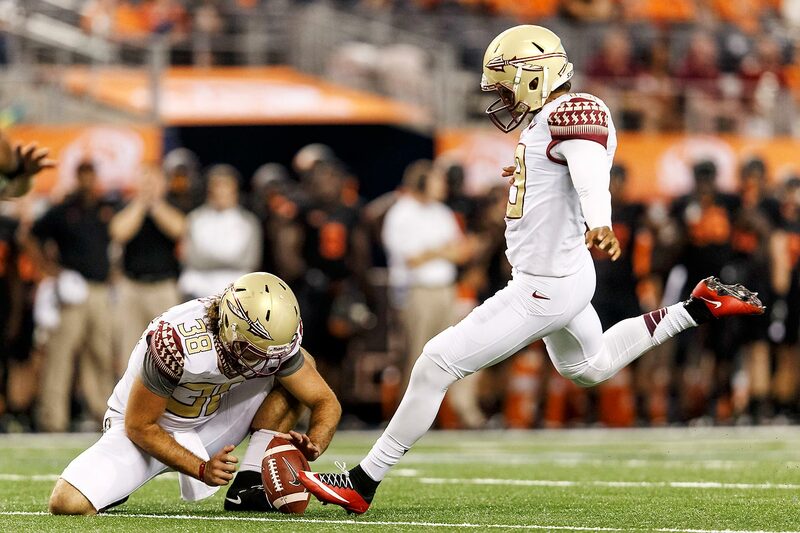 Aguayo has been lights out since 2013, when he won the Lou Groza award as a redshirt freshman. After hitting on 27-of-30 field goals last year (not a single miss came inside of 40 yards), the Seminoles kicker passed up on a chance to enter the NFL draft early. This game became even more interesting when the Buckeyes announced that four players would be suspended for it, including star defensive end Joey Bosa and H-back Jalin Marshall. After beating Ohio State in Columbus last year, the Hokies will look to score a signature victory over the reigning national champs in Blacksburg. Virginia Tech features one of the top defenses in the country, but can it slow Ohio State’s high-octane attack? The Tigers will hope their rebuilt front seven, which loses sack leader Vic Beasley and top tackler Stephone Anthony, jells in time to stymie the Fighting Irish’s strong run game. Clemson will need production from its run game, too, and Watson will look to burn Notre Dame’s veteran defense by connecting with receivers Mike Williams and Artavis Scott. Last season’s meeting between these rivals was one of the wildest games of 2014. It also marked the first time since ’08 that the Yellow Jackets beat the Bulldogs. The game won’t factor into either team’s race for a conference title, but a marquee win over an in-state rival could vault the victor a few spots in the College Football Playoff rankings. The Tigers and Florida State are the leading contenders to win the Atlantic. But the Wolfpack (or Louisville) are arguably the most qualified among the rest of the teams in the division to turn the title chase into a three-team race. Winning this game could go a long way toward helping the NC State get there. The meeting between these two teams has doubled as a quasi-Atlantic Division title game for multiple years. The Seminoles edged the Tigers in overtime in Tallahassee last year even with backup quarterback Sean Maguire starting in place of a suspended Jameis Winston. This year Florida State will hope Notre Dame graduate transfer Everett Golson (or possibly Maguire) can engineer a similar result in Death Valley. The Hokies will need to beat out the Yellow Jackets to claim their first division title since 2011. Virginia Tech could pull it off even if it loses this game—especially considering Georgia Tech faces a tougher conference slate—but a loss would give the Jackets the tiebreaker should the two teams finish with the same record in conference play. 1. 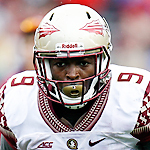 How will Florida State’s offense coalesce without Jameis Winston? In two seasons as Florida State’s starting quarterback, Winston led the Seminoles to a 27–1 record and a national title, won the Heisman Trophy and developed into an elite NFL prospect. 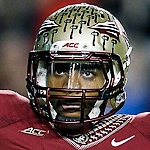 Now Florida State must figure out how to keep its offense running smoothly without Winston. The addition of Golson helps, but the ‘Noles also need to hope their revamped offensive line (which returns just one starter) comes together and new playmakers step up after receiver Rashad Greene and tight end Nick O’Leary were drafted this off-season. 2. Is this the year Virginia Tech bounces back? For much of Virginia Tech’s time in the ACC, the Hokies have been known as one of the conference’s premier teams, a consistent 10- or 11-game winner with an identity built on defense and special teams. In 2012, however, Virginia Tech dipped into a puzzling stretch of mediocrity, sandwiching two seven-win seasons around one eight-win campaign. 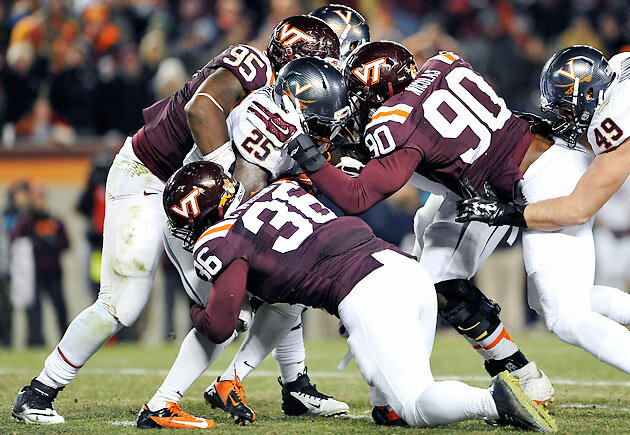 With eight offensive starters and one of the nation’s most talented defensive lines returning, the Hokies look poised to contend for a division crown again. 3. 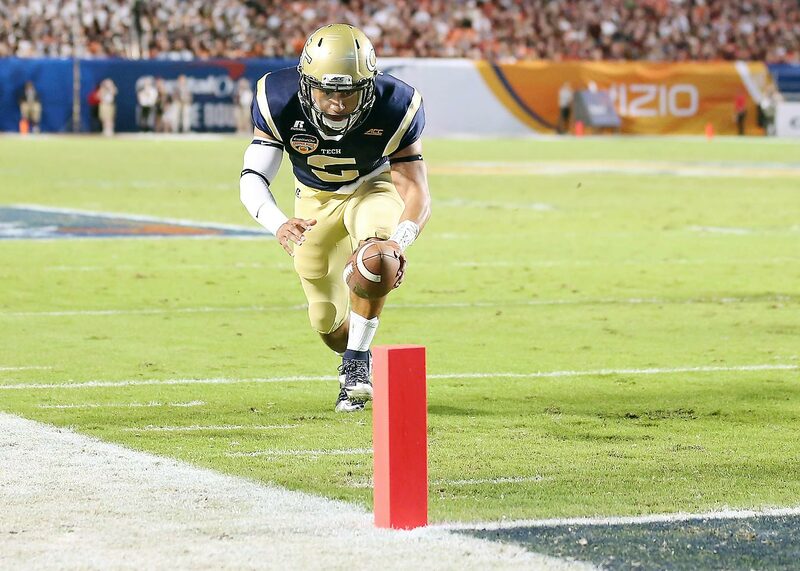 Will Pat Narduzzi make Pittsburgh formidable in Year One? Narduzzi became the Panthers’ coach this offseason after years spent engineering dominant Michigan State defenses. His acumen on that side of the ball should instantly elevate a Pitt unit that finished 67thin the nation last season in Football Outsiders’ S&P + Ratings. There’s plenty of reason for optimism on offense. Stud receiver Tyler Boyd, conference player of the year James Conner and starting quarterback Chad Voytik are all back. 4. Will Louisville or NC State push Clemson or Florida State in the Atlantic? The Seminoles and Tigers comprise an elite tier in the Atlantic as no foe has finished ahead of either one of them since 2011. Both Louisville and NC State have the potential to make things interesting this year. It’s not difficult to see Florida State regressing due to the loss of Winston and other key contributors on both sides of the ball, and Clemson faces both the Wolfpack and the Cardinals on the road. 5. Can Gene Chizik fix North Carolina’s defense? The Tar Heels tabbed Chizik to become their next defensive coordinator after finishing last in the conference last season in yards allowed per play. Chizik hasn’t coached since being fired as Auburn’s head coach in 2012, less than two years after guiding the program to a national title. North Carolina should put up plenty of points behind talented quarterback Marquise Williams, so if Chizik can coax better play on the other side of the ball the Tar Heels could become a potent threat in the Coastal.